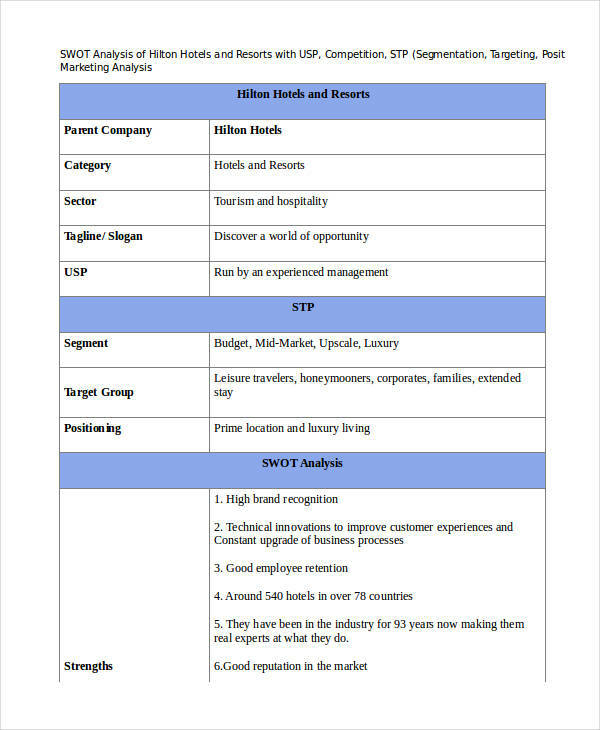 Analysis any or all of the four categories simultaneously.For an organisation to monitor its overall growth as an organisation, a SWOT simple analysis is a fundamental process they need to undertake. SWOT is a known acronym in the business world which stands for strengths, weaknesses, opportunities, and threats. A SWOT analysis is usually undertaken by an organisation in order to evaluate its status internally (strengths and weaknesses), and externally (opportunities and threats), which can be used as an effective tool and guide in future strategic planning. SWOT analysis is time tested process which every successful organisation has undertaken. If you want ensure the growth of your organization, you need to be open to the different factors which affect its growth in general risk analysis. 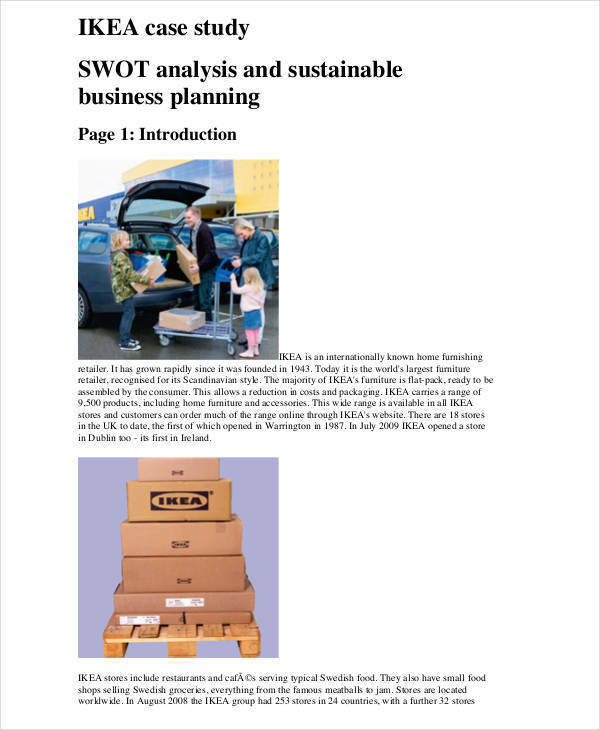 Recall that SWOT stands for strengths, weaknesses, opportunities, and threats, which are four of the most important factors an organization needs to consider in order to grow and develop as an organisation. 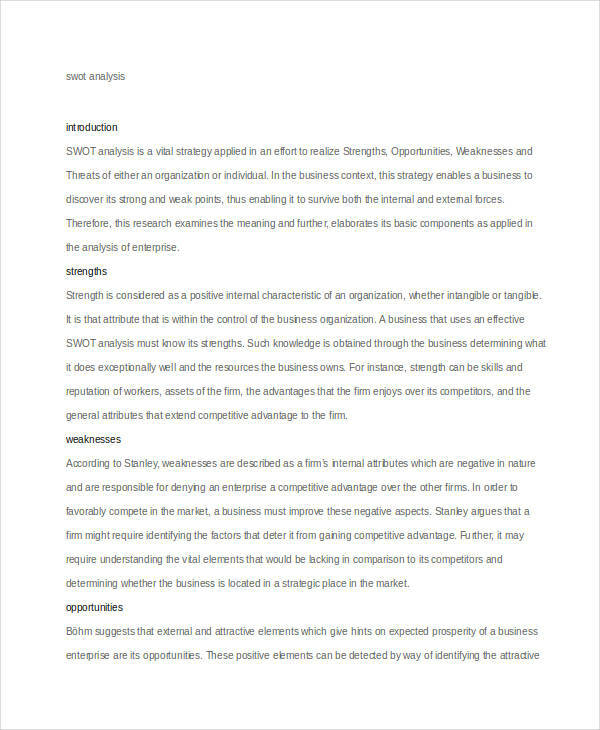 SWOT analysis primarily guide an organization into knowing its strengths and weak points as an organisation. It will also help the organization widen its scope and look into the bigger picture where it can find a few opportunities and threats. Have a purpose and a main smart goals. Gather information regarding your organisation and the industry it belongs. Observe the internal and external environment of your organization. List down the strengths, weaknesses, opportunities, and threats you observed. Brainstorm ideas with a team of individuals in order to discuss the factors affecting the organization analysis strengths and weaknesses, as well as the opportunities and threats. Distribute and organize the factors for each category. Distinguish the factors to be given the top priority and list them at the top. Identify the strategy and tools to use in addressing issues in each category, or the overall SWOT analysis. Little or no cost, and can be accessed easily. Promotes better understanding of an organization. Analyzes any or all of the four categories simultaneously. Evaluates the organization’s internal and external environment. Provides strategies and resources for the attainment of organizational goals. Not all information gathered through brainstorming can be useful. Does not include providing solutions or alternative options to certain issues. Includes subjective processes which includes biased opinions from individuals conducting the analysis. Cannot weigh factors equally, which means it cannot identify the significance of one factor from another in achieving the objectives of the study. 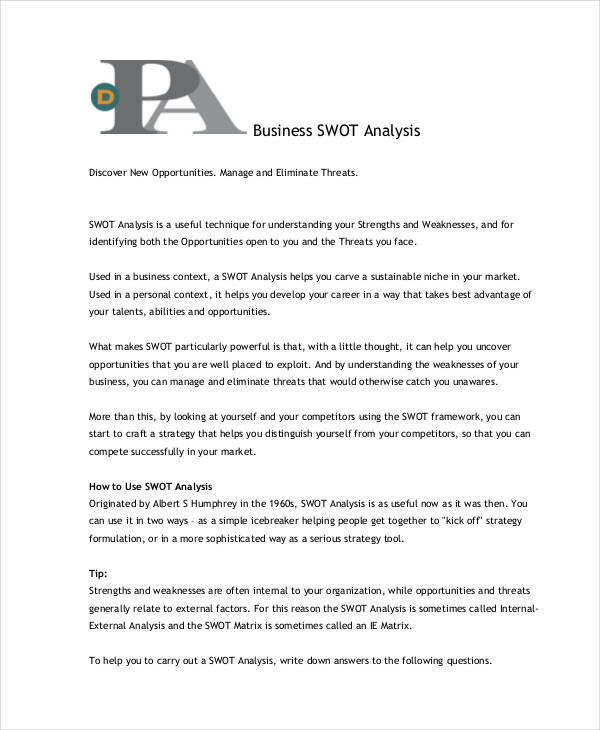 How to Prepare SWOT Analysis for Business?